We tend to throw around the phrase “Oh, I’ve done that a million times” so much that it has no meaning. However, imagine doing something literally one million times? Not the internet meaning of literally, but literally literally. 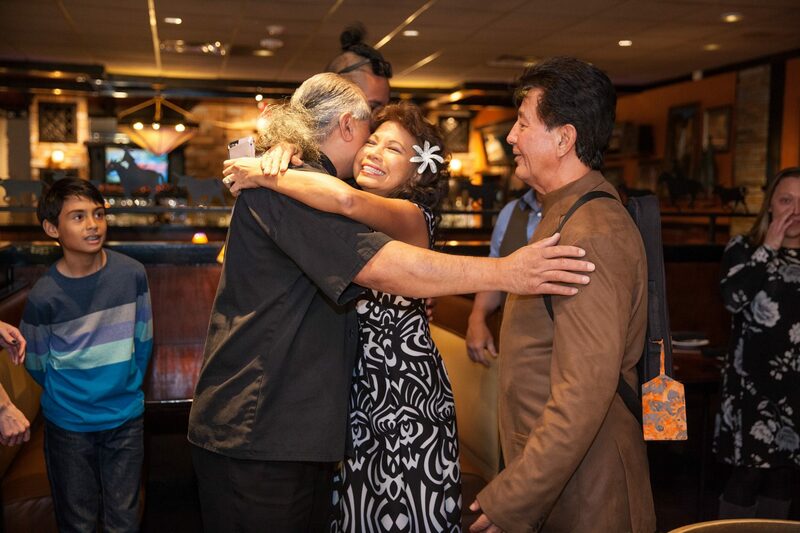 That’s exactly what Longhorn Steakhouse Grillmaster Legend Simi Tamaseu has accomplished over his 25-year career. This past December 2018, he was honored by the Darden owned chain for his accomplishments and loyalty. 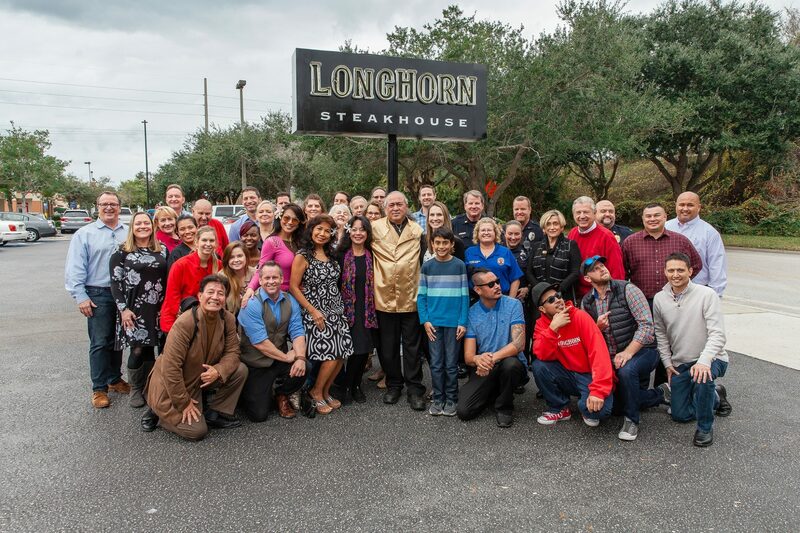 In attendance for this honor was Neptune Beach mayor Elaine Brown, Neptune Police chief Richard Pike, friends, family, the restaurant team, and various Longhorn’s executives. I had a chance to sit down with Chef Simi and talk about his accomplishments and reflect on his career. Chef Simi always loved to cook since he was a boy. He began his cooking career working at a restaurant at the Landing. However, he wanted a career with a stable company with better hours so he could spend time with his family. He found that in Longhorn’s Steakhouse. He enjoyed the regular hours and the stability a corporate restaurant brought. He started as a prep cook and worked his way up the chain. As Chef Simi continued to work his way through Longhorn, the corporate office developed a Grillmaster training and recognition program to help ensure high standards and consistency across all their locations. This consisted of performance testing and a little healthy competition among the grill cooks. There was a written portion and a performance portion of the test. Chefs were tested on their overall knowledge and the practical application of that knowledge. If the grill chefs performed well, they moved up to the next level of testing; first locally, then regionally, then district wide, and finally, the National Finals held in Orlando. The Orlando final performance portion of the testing was judged by corporate executives and awards were handed out based on those performances. The highest level a grill chef can attain is the title of “Grillmaster Legend.” Chef Simi is one of only four total grill chefs company-wide to achieve this recognition. That means he is the best of the best when it comes to grilling steaks perfectly every time. During his tenure with Longhorn, Chef Simi has achieved every accolade the restaurant had to offer. 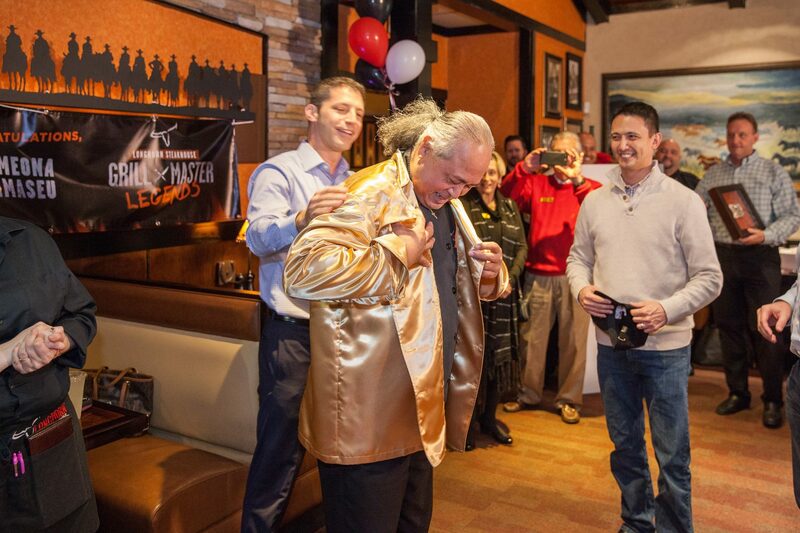 After reaching the 25 year mark and griling one million steaks, Grillmaster Legend Simi was awarded a cash prize and a gold chef’s coat, but it was the President’s Award, a gold Longhorn lapel pin, that meant so much to him. When speaking about achieving this final goal, he felt like his career is complete, that he finally achieved what he set out to do. He loves his career and the life that Longhorn helped to provide. I asked him if he ever wanted to run his own Longhorn as a Managing Partner one day. He’s worked in all facets of the Longhorn’s business and knows what it takes to run a successful restaurant. He was quick to shake his head no. He loves what he does; cooking and running the kitchen. He’ll leave the “corporate office stuff” to someone else. Over the years, Chef Simi estimates he probably trained hundreds of cooks of all levels as well as Managing Partners. And it shows. After the interview, I decided to stick around for dinner. Longhorn is one of my favorite chain restaurants. They’re a great option when you’re looking for a good steak that won’t break the bank. Our interview was on a Sunday, one of Chef Simi’s days off. So while I don’t think he cooked my steak personally, his influence and training is definitely felt. My 18-ounce bone-in Outlaw Ribeye was cooked to an exact medium rare and seasoned perfectly. Cross hatch marks grilled so precisely on the surface of the steak you could play tic-tac-toe on it. It was tender and delicious. My only regret was that I didn’t have a scalpel to surgically remove all the meat from the bone. I didn’t want to leave any of it behind. At the end of the interview, I wanted to learn some tips from the Grillmaster Legend on how amateur cooks can replicate the Longhorn experience at home. Chef Simi said keep your grill clean, season your steak liberally, and flip it often to ensure even cooking. As he continued to bestow his knowledge, the Managing Partner of the Jax Beach Longhorn location Matthew Leipau jumped in and said, “Or, you can save yourself the trouble and just come to Longhorn and let Chef Simi cook it for you.” And after demolishing that Outlaw Ribeye, it’s hard to argue with that logic. Tagged Alcohol Serving, chain news, Chef, chef profile, Family Friendly, Full Bar, Gluten-Free Friendly, steak. Bookmark the permalink.